AMD gears up for battle versus Intel in the core wars. Who needs an 18-core Threadripper CPU? Updated September 6, 2017 with retail pricing, benchmarks, and comparison to Intel’s Core i9 Skylake X. Like its Ryzen sibling, AMD’s Ryzen Threadripper CPU is a game-changing chip that offers consumers performance never attainable before. For example, slam down a thousand bucks in 2013, and the best you could get in a consumer CPU was a 6-core Core i7-4960X. With AMD’s Threadripper, a $1,000 investment gets you a 16-core CPU. Today, Ryzen Threadripper basically stands as the pinnacle of consumer CPUs for high-end users. Here’s what you need to know. 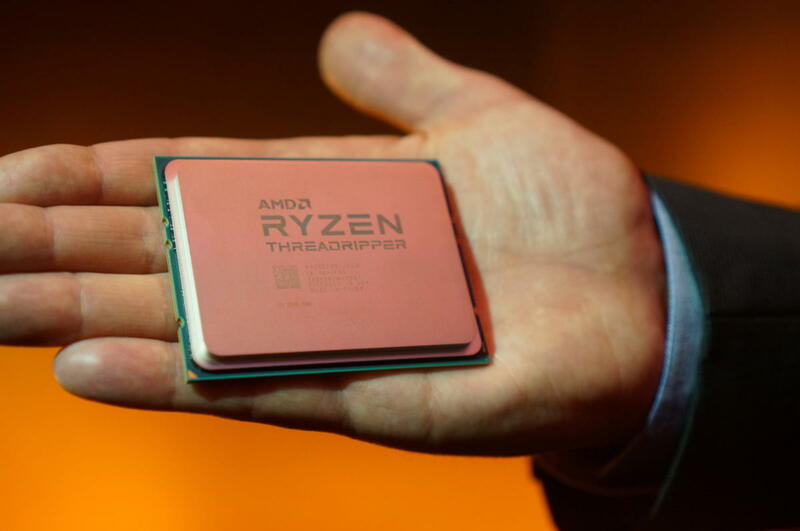 AMD’s busted out Threadripper at Computex. The Ryzen Threadripper 1900X ($549 on Amazon) feature 8 cores with SMT for 16 threads of compute power—similar to the Ryzen 7 1800X, but slotting into the more capable X399 motherboards. (Check out our X399 motherboard buying guide for specs, features, and prices.) The 1900X’s base clock speed is 3.8GHz with a 4GHz boost speed. 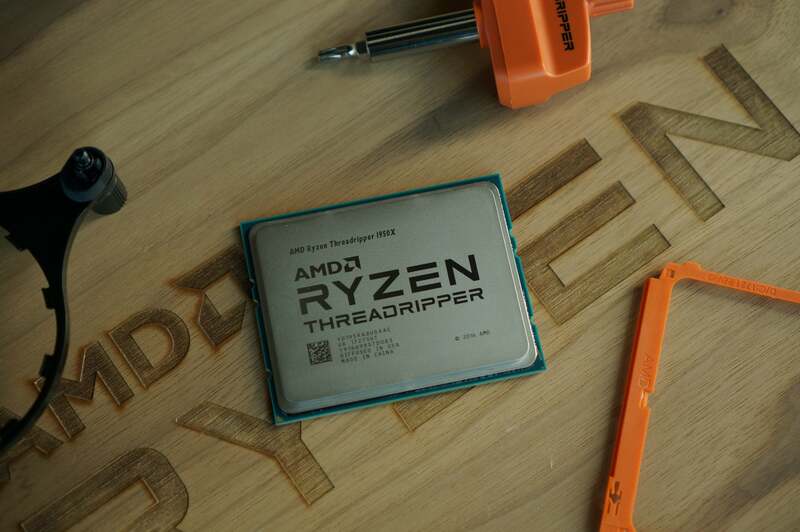 We’ve long said AMD’s plan is to crash Intel’s enthusiast-CPU party, and it looks like Threadripper will do just that. As we said above, the 16-core Ryzen Threadripper 1950X costs $1,000, the 12-core Ryzen Threadripper 1920X costs $800, and the 8-core Ryzen Threadripper 1900X costs $550. How disruptive is that? Well, with Intel’s 16-core Core i9-7960X pegged at $1,700 and its 12-core Core i9-7920X priced at $1,200, it’s easy to see just how much trouble Threadripper causes for Intel. 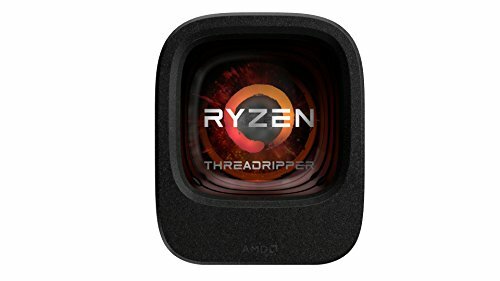 Threadripper PCs went on sale July 27. 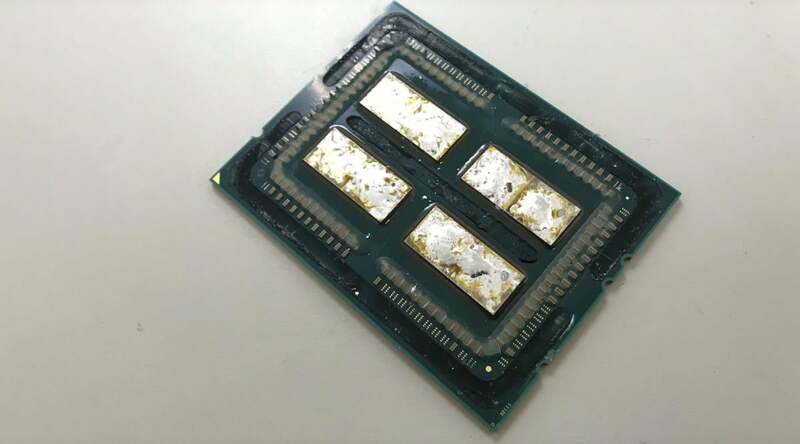 The Threadripper 1950X and 1920X CPUs launched August 10, and the 1900X released August 31. Alienware has the worldwide exclusive on Threadripper systems among large PC manufacturers through the end of 2017, but many U.S. boutique builders will offer it as well. All Threadripper CPUs so far are 180-watt TDP chips. Ryzen Threadripper CPUs can technically support up to 2TB of RAM, but good luck getting modules that large to hit 2TB. 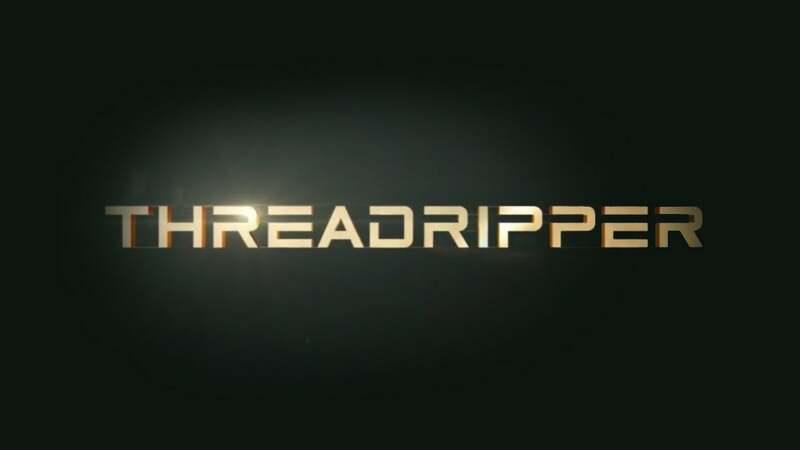 Threadripper does not ship with an included liquid-cooled cooler, as was rumored. It will include a bracket adapter that works with most liquid coolers based on Asetek designs. 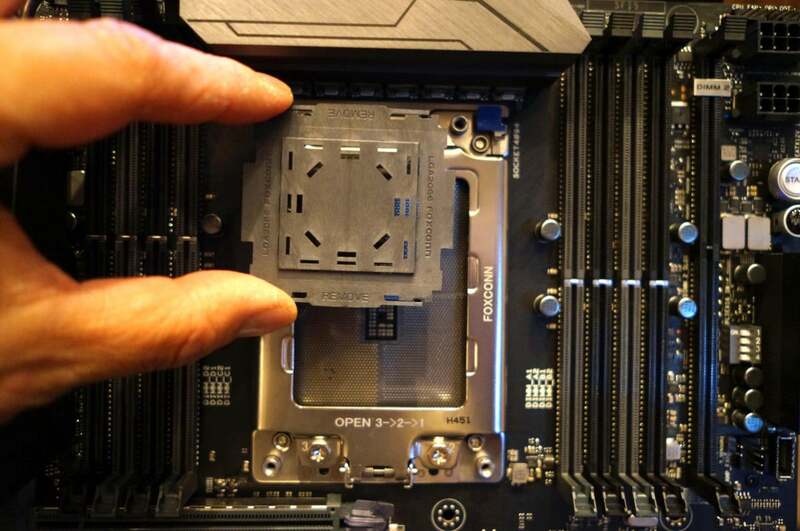 Here’s the new TR4 socket where Threadripper will live. If you’ve spent the last decade watching AMD CPUs eat Intel’s dust, get ready for a new world order. AMD’s mainstream Ryzen 3, Ryzen 5 and Ryzen 7 have handily proven they are every bit as capable as Intel’s CPUs in many situations. 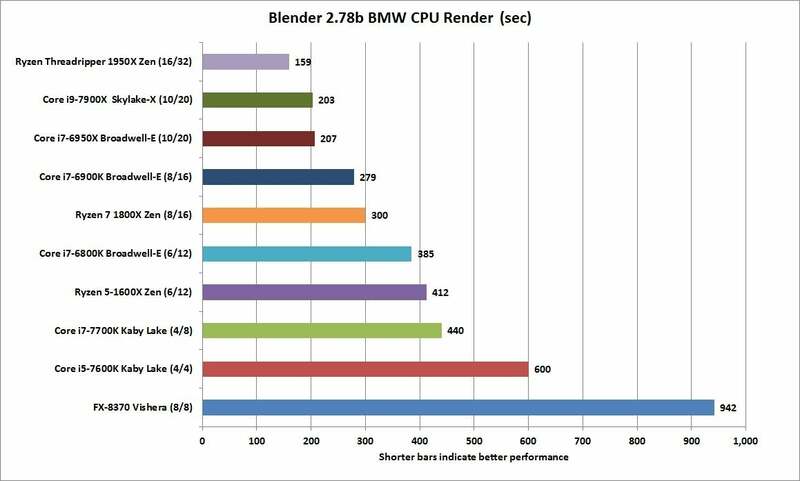 Threadripper leads the way in multi-core CPU tests. 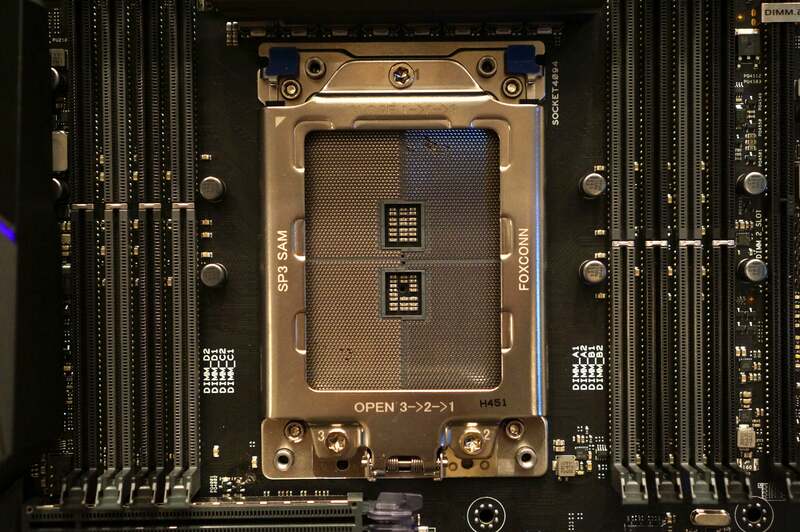 That doesn’t mean Threadripper 1950X wins all the time, but our philosophy is that the kind of people who are even looking at heavy-duty chips like this are the kind of folks who will need more cores most of the time. Here’s the Full Nerd gang going, well, full nerd on Threadripper. We previously refuted AMD’s statement that Threadripper would support 1TB, but we were all wrong. In fact, AMD says there’s nothing preventing a Threadripper from running up to 2TB of RAM. The problem, of course, is how you can manage to get eight DIMM slots to pack in 1TB or 2TB of RAM. For 1TB, you’d need to populate all eight DIMM slots with 128GB LR-DIMMs (Load Reduced DIMMs). Unlike today’s Registered DIMMs, which use a chip to re-drive some of the signals to the memory directly from the CPU, an LR-DIMM uses a memory buffer to re-drive all of the data and instruction sets. None of this comes cheaply. A single 32GB LR-DIMM DDR4/2133 module costs $1,100, so you can imagine how much a 128GB LR-DIMM will cost when available. Don’t hold your breath for 256GB modules, either. So while the theory is true, realistically don’t expect more than 128GB of RAM on a consumer system today. With 16-core, 12-core, and 8-core Threadripper chips now out in the open, people who are expecting 14- and 10-core Threadripper CPUs (and full parity with Intel’s Core i9 selection) might be disappointed. AMD hasn’t said boo about any further Threadrippers yet, despite earlier leaks indicating a fuller lineup. AMD executives have told PCWorld they haven’t committed to matching Intel’s offerings. While Intel builds its CPUs using a monolithic design—that is, all cores on a single piece of silicon—AMD designed Threadripper around using a multi-chip package design to maximize flexibility of production. If you were to pry off the heat spreader of a $1,000 Ryzen Threadripper CPU, you’d find two 8-core chips connected using AMD’s high-speed Infinity Fabric. In fact, famed overclocker der8auer did just that and found four chips. Two of the chips, though, are just spacers to maintain structural integrity of the CPU. AMD isn’t the only company working on a monster CPU for consumers. Intel’s Core i9 Skylake X recently joined the battle. Well, kinda: As you can see in PCWorld’s Core i9 review, Intel’s new HEDT chips are indeed fast—but there are caveats to that performance. Far worse for Intel, though, are the meager troops it currently has available to combat Threadripper. The best Intel has been able to muster is a 10-core Skylake X. A 12-core chip is slated for September, with the 14-, 16-, and 18-core chips not due until October. That leaves Threadripper unopposed for many crucial weeks. Intel has announced a full line of its Core X CPUs, but it hasn’t shipped any CPUs with more than 10 cores yet. Core i9 does already offer somewhat of an advantage: With Intel’s greater efficiency and generally higher clock speeds on lower, lighter workloads, our tests of the 10-core Core i9-7900X give it a lead. 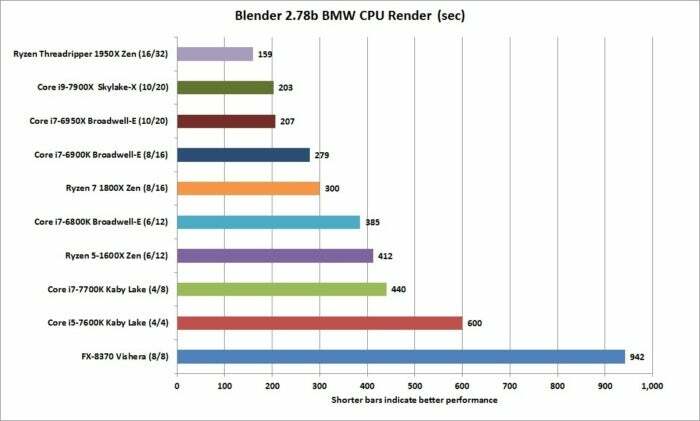 But once you move up to heavier workloads that stress all 16 cores of Threadripper, AMD takes the lead. 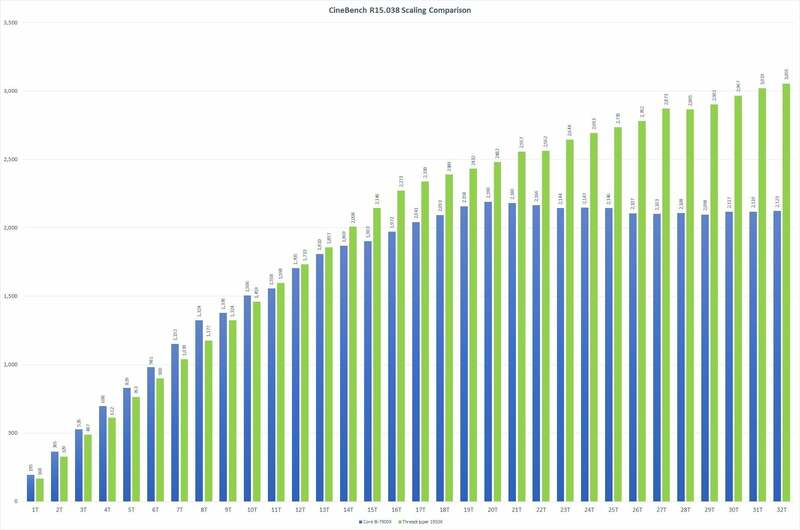 You can see each $1,000 CPU’s strengths in a test where we measure performance with workloads from 1 to 32 threads. 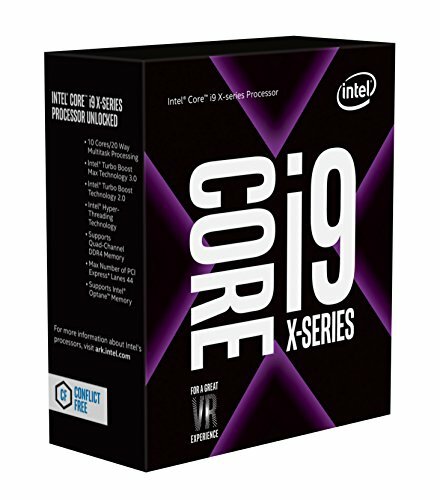 Intel’s 10-core Core i9 shines on lighter loads due to its higher clock speed and greater efficiency, but runs out of gas on loads that use more compute threads. 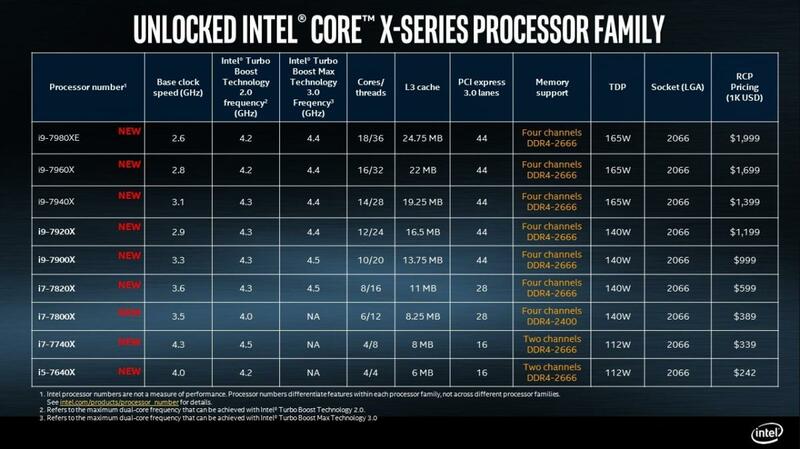 This indicates that Intel’s 16-core and even its 14-core might make this an even race—if judged purely on performance. Once you factor in the higher price of the 16- and 14-core Core i9 chips, however, Intel is at a disadvantage. With the recent release of the Threadripper 1900X, AMD is now making 8-core chips for two platforms. On the more mainstream AM4 platform, you have the Ryzen 7 1800X, 1700X, and 1700. In the new, pricier X399 platform, you have the Ryzen Threadripper 1900X. 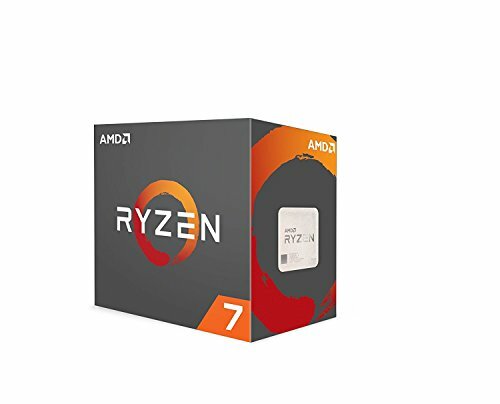 Consider the street price of a Ryzen 7 1800X and X370 board at $600 vs. the $900 for a Threadripper 1900X and X399 board. Many can justifiably wonder, why bother? But they’re losing site of one big advantage the X399 platform has over X370: RAM capacity and PCIe. The mainstream-focused X370 platform lets you install a maximum of 64GB of DDR4 using available modules. An X399 would let you hit 128GB using today’s memory modules. Of course, Ryzen 7 and X370 technically max out at 256GB, but Threadripper in theory can hit 2TB. In practical terms, think of it as 64GB in dual-channel mode, vs 128GB in quad-channel mode. The other big advantage Threadripper and X399 have is in PCIe lanes. All Threadripper chips give you 64 PCIe lanes, compared to the mere 20 lanes of Ryzen 7. Even Handbrake can’t use all the resources of an 18-core, 36-thread CPU, so buy a mega-core CPU only if you can really use it properly. As Intel and AMD wage their fierce core war, you’d be forgiven for assuming that more cores means better performance. The truth is more nuanced. How many cores you need really depends on what you do. If you primarily play games, a mega-core PC isn’t likely to yield the performance you’d expect. If, however, you edit video, render 3D content, and run other intensive workstation-like tasks, more cores generally means less waiting. 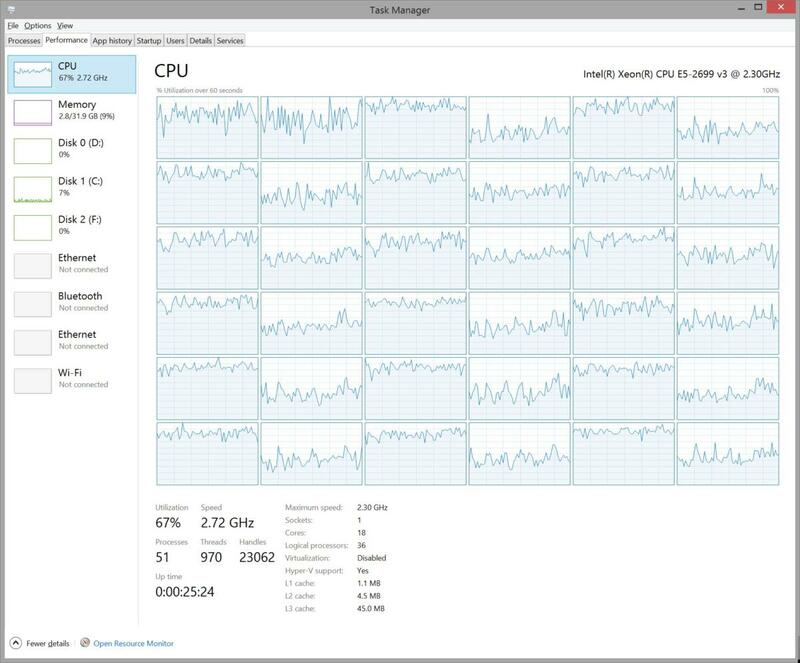 Having an embarrassing number of cores can also aid in heavy-duty multitasking. 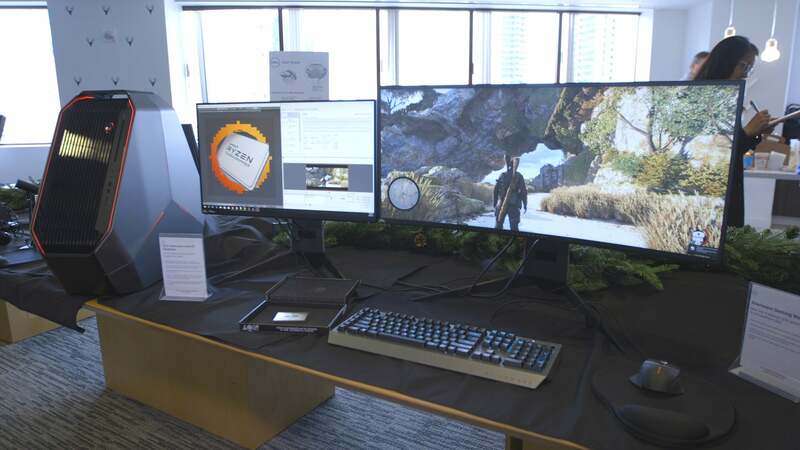 You know, like simultaneously rendering 3D, video, audio, and playing games, as the Alienware Area-51 did in a recent demo (see below). You know what’s funny about the CPU business? If you buy a $1,000 CPU, you get it in practically the same box that you get when you buy a $100 CPU. That’s about to change, though, as AMD CEO Lisa Su just showed off the nifty box Ryzen Threadripper will come in. AMD’s fancy new packaging for Threadripper features the CPU floating in an eye. Unfortunately it doesn’t light up. And no, this isn’t just some special preview box or reviewer’s-only box. AMD officials confirmed to PCWorld that this will indeed be the retail box for Threadripper. 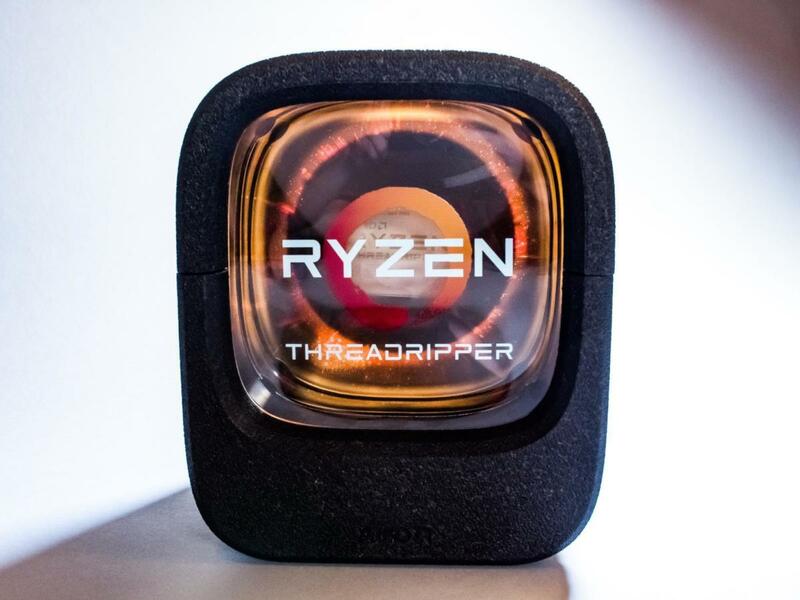 While rumors that AMD would include an entire liquid cooler with Threadripper proved to be false, the company did put in an adapter to fit most Asetek coolers already available. AMD includes an adapter and Torque wrench with every Threadripper CPU. AMD also includes a small torque Torx wrench to install the CPU. The Ryzen Threadripper installation, by the way, is a doozy. We recommend you watch a couple of installation videos instead of just winging it. For the ultimate Ryzen Threadripper experience, watch our Ryzen Threadripper PC build. This article originally posted on May 22, 2017.